Ok, let's get things clear from the start; a Bubbler is not a Bong. You might be able to say that a Bubbler is the love child that you would get if Momma Pipe went to a crazy psychedelic rave with Molly and hooked up with Poppa Bong for the evening. Why should you have a Bubbler? They can be operated one handed, no more propping on a knee or table. They are small and easy to stash. Father Bong is cool, he may be old school but hey, when a dude has been around as long as he has, you know he has to something special to offer. And he can tell you stories about the '60s. 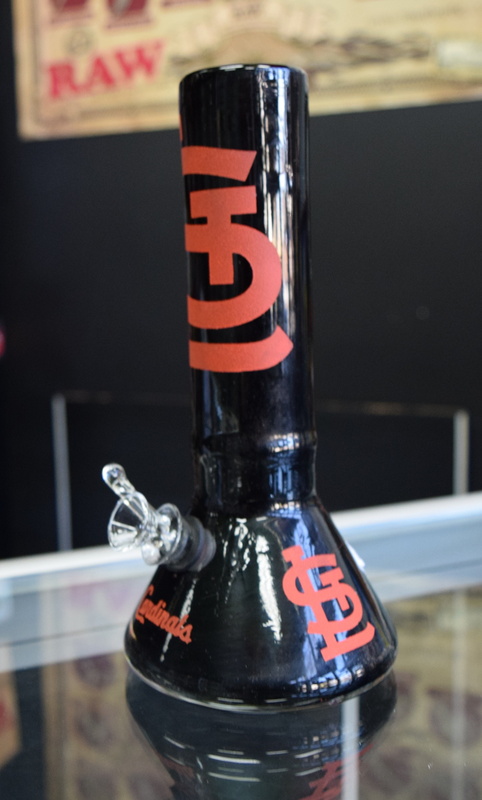 A bong is basically a jug with a bowl attached to a tube that runs into the bottom of the Bong. You fill the jug with water or other liquid, being careful not to get it above the bowl level, pack the bowl with your favorite smoking mixture, fire it up and blaze away. Just remember to release the carburetor before you finish inhaling. You don't want to waste the smoke and don't tilt him in the wrong direction, or you'll get your herb wet. Son Bubbler, now he is something special. He is the best of all possible worlds. 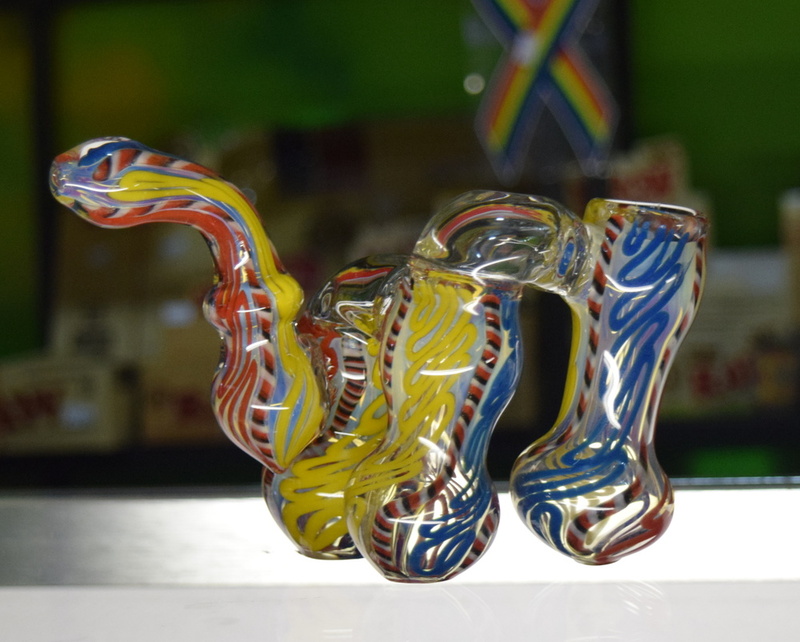 Like Momma Pipe, he has artfully crafted lines, a stem and mouthpiece so you get a long slow deep draw. He is small enough to be handled one handed and slipped into a jacket pocket when not being used or he needs to disappear in a hurry. From his dad, Bubbler gets the filtering system that gives him his name. Just like Daddy Bong, Bubbler is carbureted so you don't waste smoke. He filters your smoke through chambers filled with water that trap a lot of the impurities that can make it harsh and cools it down so you don't get a parched throat during long smoking sessions. Besides all these advantages, bubblers are just cool. They come in a huge variety of styles from tiny little single chamber models, not much bigger than a one-hitter too slightly larger multi-chamber models that are as much marvels of engineering as they are works of art. Considering how much cheaper bubblers are than bongs, you can buy more than one or keep the extra cash in your pocket for munchies. I will mention that there is one small drawback to the bubbler. Since they use less water, the water does get skunky faster in a bubbler than it does in a bong. The water needs to be changed more often. But when you consider the fact that you don't have to worry about knocking it over and having to clean up bong water, this is a small price to pay for all the other conveniences a bubbler brings to the circle. 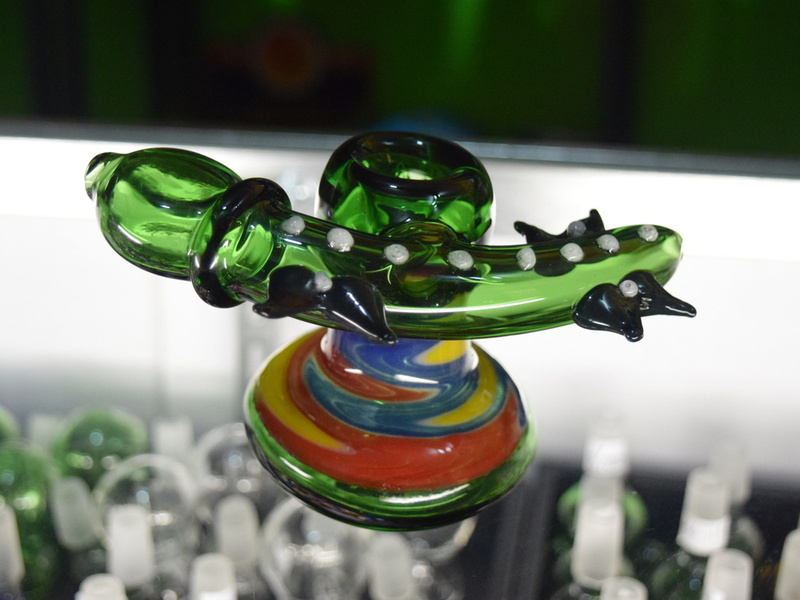 Check out the massive glass bubbler collection at a Mr. Nice Guy Head Shop in St. Louis today. Have questions? We're great at answers. Stop by and a staff member will be happy to help you.